Finley (my Cadence Majorette) is back on her stock Takara body.There are pros and cons to the Sweetiiger body, but ultimately, the negatives won. It’s super poseable. You have the option of switching out the hands as well. This was the biggest appeal for me. Finley on the Sweetiiger body was fun to pose! Clothing made to fit the regular stock bodies will fit the Sweetiiger body. 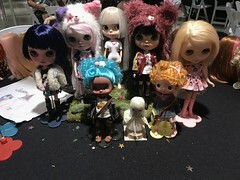 It lends the doll a slightly more mature appearance, with a more defined and bigger bust, and a slightly taller height. 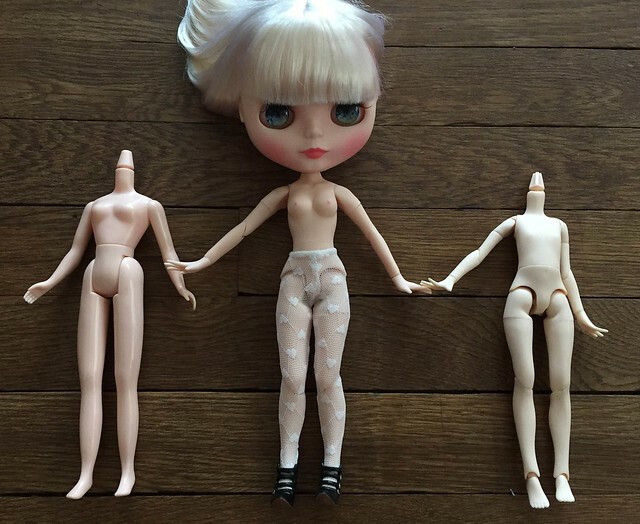 The neck peg fits Blythe dolls with NO modding. Notice the neck peg – it’s shaped similarly to the stock body, so this makes body swapping super easy. Also notice that the body does a good job of standing sans the head. 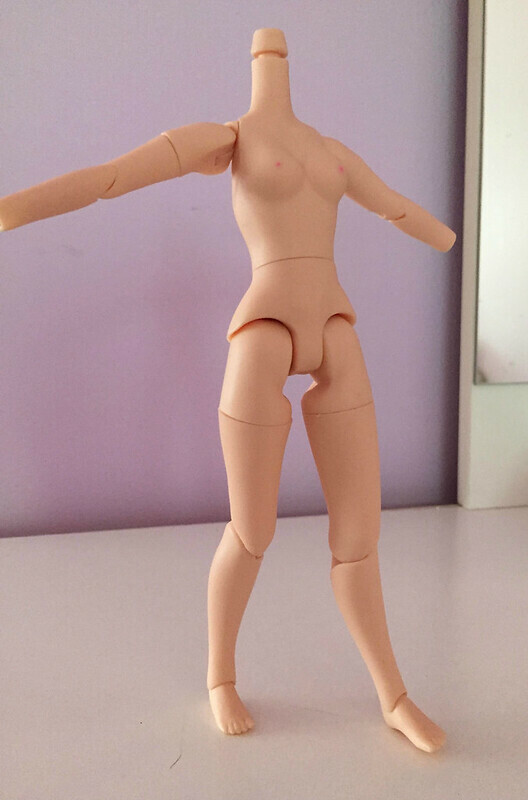 Loose joints – This may just be my particular body, or it may be that my expectations were too high. Sometimes the knees buckle when I try to pose Finley standing up while leaning on something. She even has difficulty sitting up without some finagling. The body I purchased doesn’t seem to want to support Finley’s massive head. Finley always seems to be slouching or about to fall over. The feet are too big :(. 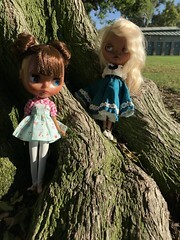 I have quite a few shoes for my dolls, and only a few of them fit on Finley because of the width of the feet on the Sweetiiger body. I’m pretty sure I even ruined a pair by stretching them out too much trying to shove Finley’s feet into them. And so, Finley is back on the body she came with. I’m going to miss her interchangeable hands and her funny poses 😥 . The stock body does have its own charm though. I also wanted to share my weekend crochet project ^^. 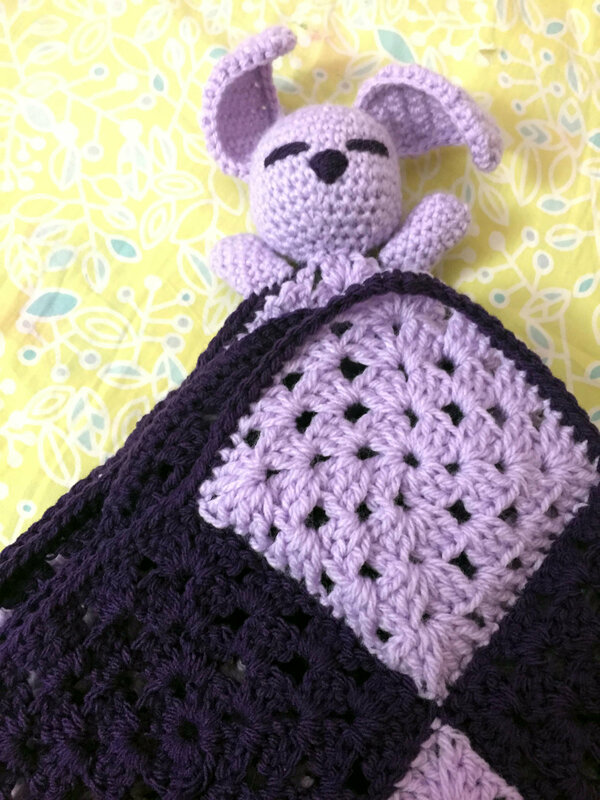 I made a baby blanket for a friend as a thank you gift. I decided to make a granny square baby blanket for the first time. This is a basic granny square (instructions can be found on this website). 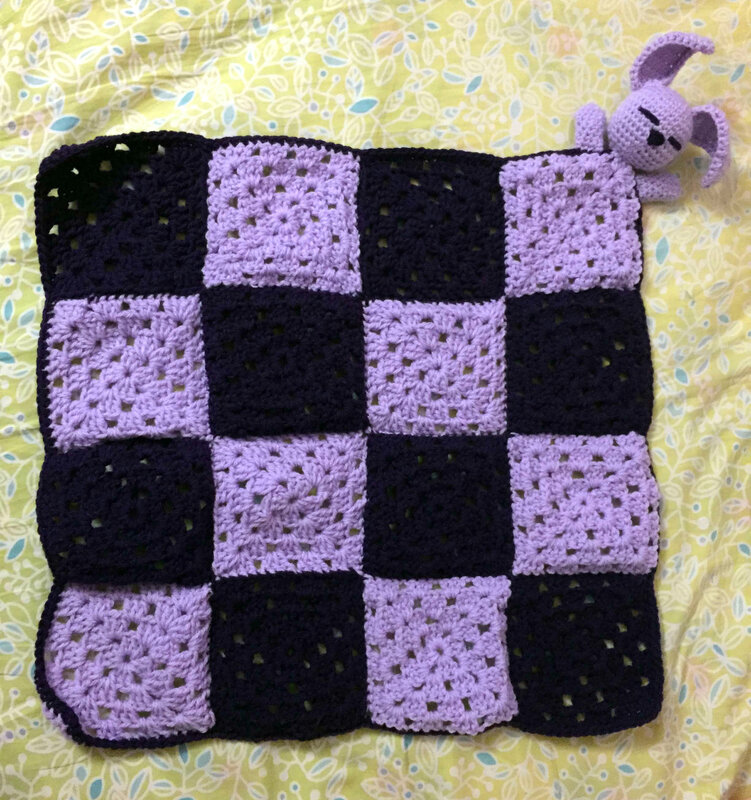 I used the whip stitch to attach the granny squares together, forming a big checkerboard pattern. And I added a bunny head and arms at one corner to make the blankie huggable and doubly cute ^^. 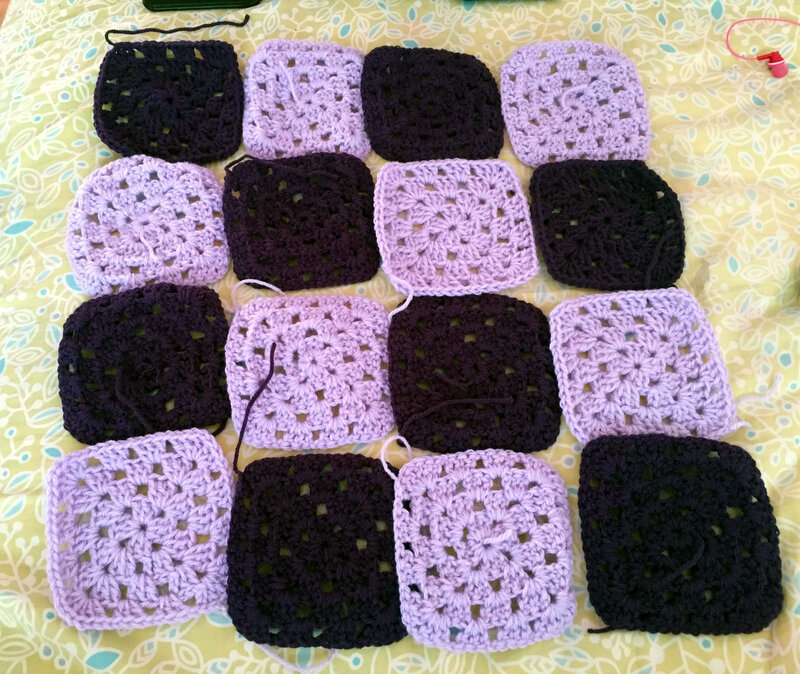 I think the next time I connect granny squares, I’ll try the single crochet method, and also a different accent color for the border and the connecting stitches. Overall, making this blanket was easy, if not a tad monotonous. It did take me the better part of the weekend though, but it was a good change of pace from crocheting doll hats or trying a new pattern. There was no stumbling, and no having to concentrate on reading a pattern or keeping track of rounds or stitches. I love the blanket, and really like the whip stitch sides! How big is it? your comments about the body is very helpful too. this body seems very similar to pure neemo. do you know if sizewise they are the same? Thank you! I only have the Pure neemo flexion XS (it’s my Yeolume’s body). I think the Pure Neemo small size body may be a better match to the Sweetiiger body in terms of size, because XS is a bit more slender. I hope this link works! This is my photo of the stock takara body, the Sweetiiger body, and the pure neemo flexion XS body. Hello! 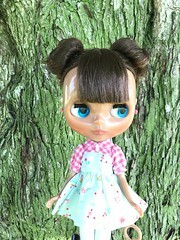 If you mean you want to change the body to a Pure Neemo body, I have not done that for Blythe. I have the pure neemo XS flection body, and that seems a little too small for Blythe. I think Size S might be better. Please check out these links for a better idea on size. Wow! Thank you so much. I will try size S. You are the best! I plan to go to Japan on Thursday. I try to find it. Thank you so much! Your comment is very useful. There’s two options for sweetiiger bodies – with or without the chest painting (lol). I don’t know why I ordered the one with… It’s not like Finley was ever the nudist.